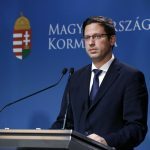 Serbia’s becoming a strong country is “clearly in Hungary’s interest”, Foreign Minister Peter Szijjártó said on the sidelines of talks with Serbian government members in Szabadka (Subotica), in northern Serbia, on Monday, and added that “the strength of its neighbours increases Hungary’s appreciation”. Hungary will take all efforts to contribute to Serbia’s economic development and to accelerate Serbia’s European integration, Szijjártó said. “We cannot accept that the European Union should not be enlarged before 2025, and cannot accept that the European Commission artificially slows down Serbia’s integration,” he said. 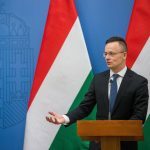 Concerning the Hungarian economy, Szijjártó said that Serbia and Bosnia and Herzegovina are “primary destinations” for Hungarian investment, and added that the government has earmarked a sum of 10 billion forints (EUR 31.1m) to support that trend. Referring to the Hungarian government’s programme aimed at promoting Hungarian businesses in Serbia’s northern Vojvodina province, Szijjártó said that the scheme was “a huge and unquestionable success”. So far, 10,000 bids have been awarded and the resulting investment has totalled 65 billion forints, he said and added that the programme would use another 7.5 billion forints this year.